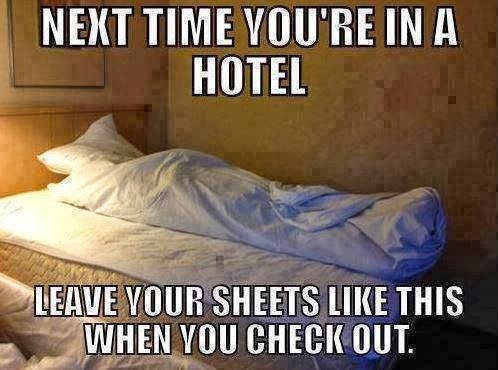 Had a bad stay at a hotel? Here's one way to leave your mark. Not sure I could actually do this, but I think it would certainly freakout the room cleaner.